The Brightcove KK team and our partner J-Stream in Japan recently announced that Seiko Watch Corporation is leveraging Brightcove Video Cloud to support the launch of its global video portal, SEIKO TV. SEIKO TV features a variety of video content, including Seiko Watch's different collections, recent events, major sponsorships and some of the interesting technologies behind Seiko Watches. 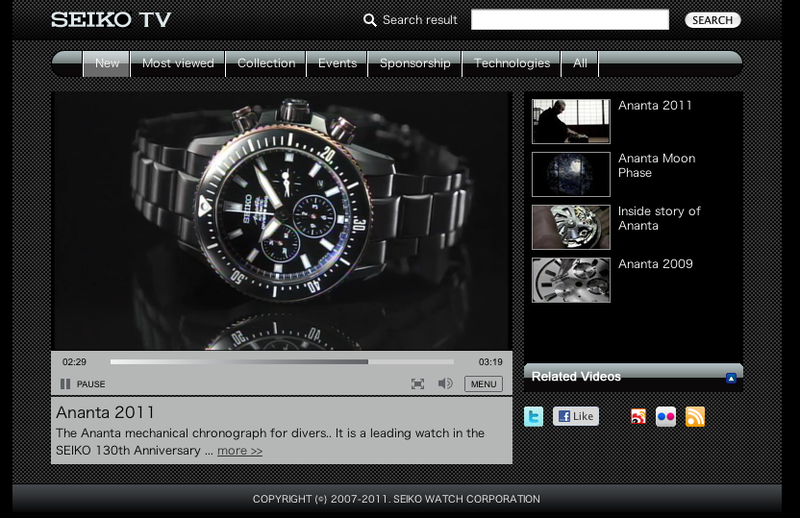 By launching the new site with Video Cloud, Seiko Watch was able to simplify its video content management and overall video operations. Now, Seiko Watch is able to publish video content easily across its product lines that vary by country and region in both English and Japanese (coming soon). Video Cloud also enables videos to be shared across third party sites and social networks like Twitter and Facebook to maximize the reach of Seiko Watch's video content. Videos are also accessible across smartphones thanks to Video Cloud's Smart Players. Additionally, J-Stream provides the overall site production and delivery infrastructure for SEIKO TV.